A big Thank You to Leah for hosting in September, the October host is Serena at Savvy Verse and Wit (blog link, not post link). Whew! I had a great week! M and I went to Las Vegas and had a fabulous time. No big win on the slots but no big losses either. 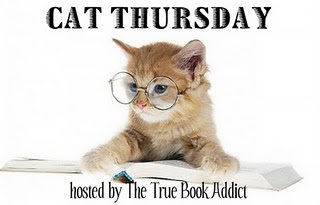 ;) Then I participate in Dewey's 24-hour Read-a-Thon. I'm still visiting blogs. School starts tonight so I don't know how much pleasure reading I'll be doing. improve? I thought it was great! Some of the mini-challenge links didn't work. the hosts on the blog were fabulous! Very Likely, depending on husband's plans. I'd like to donate prizes and be a reader. If I was a cheerleader, could it be just for an hour? I know it's almost the end but anything I read now will be just to keep going and I wouldn't enjoy it. So I'm going to bed. Goals: two books read (with Finished Reading posts), check. One review, no. and visit, check. Oh, less reading than last time, more mini-challenges, more comments. check. check. and check. Read: Dark Peril at 420, A War of Gifts at 126, started Quickstep to Murder, Christmas Eve at Friday Harbor at 211.
next year.....check-in more often at RaT's blog for mini-challenges....start on time....keep track of time spent blogging/visiting/reading/down-time, keep track of who you visited? would be nice but I'd be more interested in why you pick each book and what you thought of it. This can be added to your post about the challenge. The list didn't turn out as long as I'd hope so there will be no voting....just read five books (not yours) from the list. 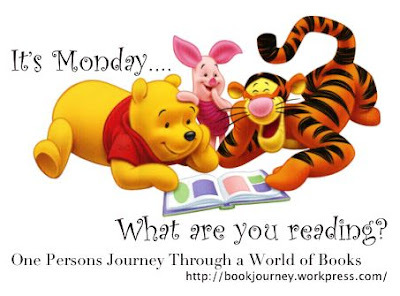 Yes, there are a couple of series on the list but you only need to read one of them. Goals is a harsh word for me. I make plans and join challenges then fail spectacularly! 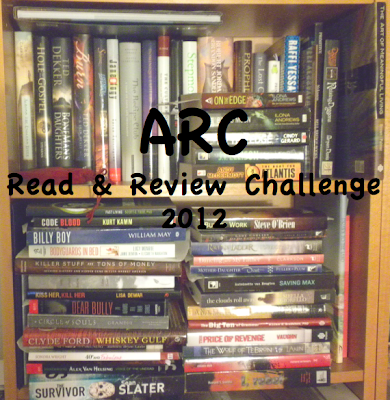 I did much better in 2011 than I did in 2010 and so far, not only have I not burned out, I've reviewed more books! 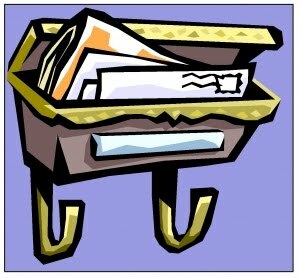 crochet projects, redecorating two bedrooms, continue decluttering, school work, house work, workout! and wouldn't you know it...I've picked up a book that wasn't on my list! Took a break to catch up on a serial I'm reading online and to play FarmVille. won two books woo hoo! Up next: back to Quickstep? Magic Tree House? I recently purchased two cozies by new-to-me authors....Quickstep to Murder is the next book I'll start. Also looking forward to Button Holed. Both are book 1 of a new series and published this year. I didn't plan last week well and went to bed for the night 3 hours before the RaT started. 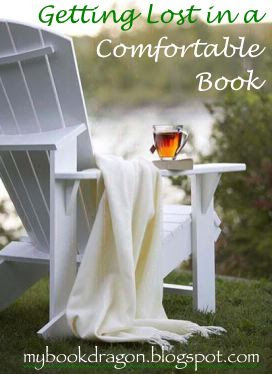 With an understanding husband and no kids at home, I've been free to read to my hearts content. Interruptions were few and far between and have mainly insured I'd make it to hour 24 (nap & food). Just went with the flow....I may have 40 books on my list but I knew I'd never read that many. I won something! Actually, what surprises me most is a comment made by M.....he asked how my reading was going this morning and has left me alone to do what ever I need to do for this. Don't try to fix what's not broken....Q: why did we start at noon? Plan meals (we went out to dinner), have better snacks on hand, start with a shorter book and get to bed early the night before! Started the RaT on the couch with a blanket, forgetting that my lap is a cat magnet. All that warmth and purring makes me sleepy! I made it to 10:30 a.m. before I needed a nap. I did set my alarm but Sneakers had curled up with me, still purring, I stayed in bed another hour. Don't know how well I do starting at 5 4 a.m. but I'll get a list together and plan a great last hooray before school starts. Why don't you join me? I'll be gathering fruit and veggies, adding some cheese, Wheat Thins, and nuts. Not sure what I'll be drinking. My choices right now are Fresca Peach, Diet Wild Cherry Pepsi, Crystal Light, or water. It has been recommend that I read the series in published order so I headed over to Wiki....hope this is correct! 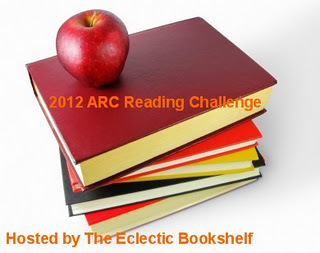 Basic requirements: Read and review at least as many personal/library books in 2012 as 2011. That would be 13. Basic requirements: Any book that you have been asked to review but not books that you've asked to review (netgalley). Tour books count. There are several levels (4, 10, 20, 20+) and I'm going for 10 and hope to read all the ARCs I've already read but not reviewed that qualify, plus however many more to make 10. 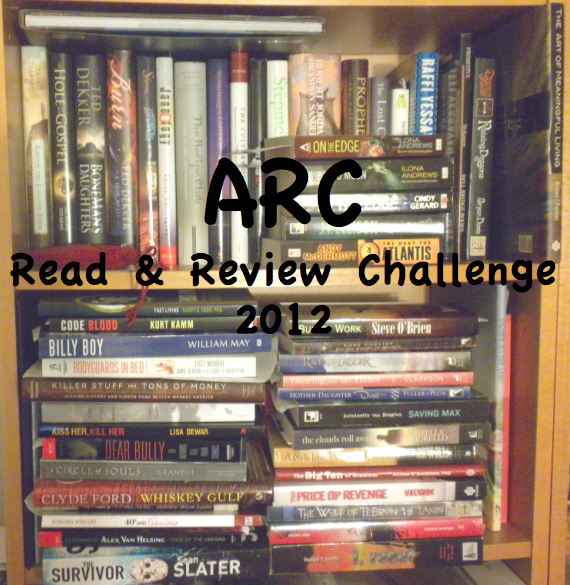 Basic requirements: Read 20 ARCs and review them this year. This is my print shelf! So, there is a duplicate books, I've added a couple since I took the picture so it even outs. And yes, that second shelf is double deep. This is just my print shelves, I've got just as many, if not more, ebooks to review. Daughter came over to drop off Grandma's birthday gift and we went to dinner. M and I met her and boyfriend for dinner.....Red Robin. First time visit...it was okay but I think I'd rather go to Islands. Saturday was spent at my parent's for my Mom's birthday, Bro & SIL were there too and it was nice to catch up. 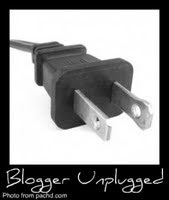 I do have a couple of posts scheduled but I'll be unplugged for most of two weeks. I'm very pleased that I got three reviews done this weekend but only one was from my "read but not reviewed" list. Another was an ARC so I'm very please with that. Not much read that counts (lots of on-line stories). Had a great lunch out with my parents then shopping with Mom. Don't have many plans for this week but husband is talking about a quick trip out of town next week for the two of us. You've heard of interval training? Most of the programs I found were for people who were already athletes. If interval training is so great, where's the program for the rest of us? This is interval training for the rest of us. That is a simplistic view of the book. Dr. Sears believes, and has the research to back him up, that our modern lives are killing us. Our bodies are still conditioned for caveman living in a fast food/drive everywhere life. Think about this. You walk to your car, walk into your office, walk to your car, walk into your home. Oh yes, you stop by the gym (on a good day) and do your 20-minute minimum of moderate intensity cardio. Your caveman ancestor walked for most of the day foraging then, ahem, ran like hell when a predator spotted him. Sure there were lots of problems with the ancestor way of life ;) but when we lost the "ran like hell" part of our day, we lost a big chuck of our health. Not just fitness or I look great, but health. Dr. Sears explains what's wrong, why it happened, and how to fix it. There are lots of graphs and research snippets to back him up but there are also examples from his own medical practice. PACE allows you to start from any level of conditioning. If you can stand up, you can do PACE. 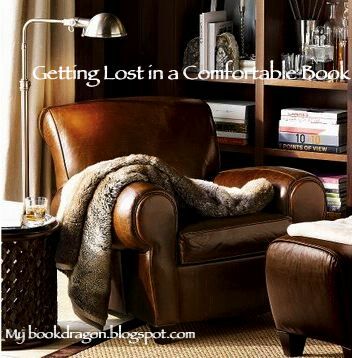 It's difficult for me to express how much I enjoyed this book. I didn't follow through the first time I read the book but I'm ready to revamp the way I think about exercise and get with the PACE program. Read the book a couple of times. 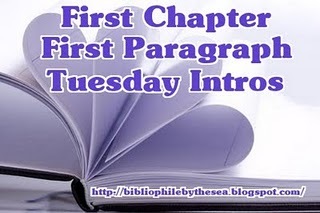 First, enjoy it as you would any novel. Laugh at parts and cry at others...and want to slap someone upside the head. Let it perk for a while then go back and really read it. Write down what you need to do to improve your health and live a long, healthy life. Now to decide what to do with my gym membership and personal training sessions! Disclaimer: I received a complimentary review copy of this book without any obligation to write a positive review. The opinions expressed in this post are mine and may differ from yours. Book information courtesy of amazon. PACE is the ONLY doctor-designed program proven to help you reclaim a young, lean and effortlessly energetic body in as little as twelve minutes—guaranteed! PACE is a growing revolution. It’s already practiced by thousands of people in dozens of countries around the world. PACE overturns years of failed ideas and exercise advice. PACE upends current exercise trends by revealing their flaws and offering a more effective, more natural way of moving our bodies. This book will show you how to replace the flawed and ineffective theories the have been mistakenly accepted without proof with what really works. Join the PACE revolution and your body will soon become naturally strong and resilient. You’ll join the cutting-edge group of thousands who now feel energized, motivated, and ready to take on any challenge. 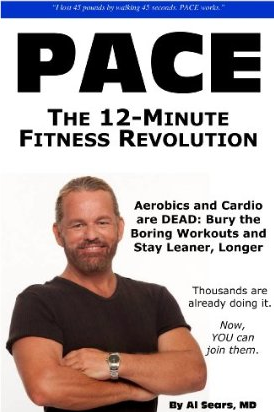 And the best news is that joining the PACE revolution takes on average only twelve minutes per day.PACE is the ONLY doctor-designed program proven to help you reclaim a young, lean and energetic body in as little as 12 minutes—Guaranteed! This is the cutest book! A lone dog sits in the house and there are Zero cats but when his housemate comes home....along come the neighbors too! I love the illustrations and the verse. One the great things is not only are you learning to count but do MATH too! flaunt and flounce across the floor. and the illustration shows three groups of four cats dancing! And as the cats are dashing out the door, one waves to the dog! Disclaimer: I purchased this book for my own enjoyment based on a blogger recommendation. edit: Dang, wish I could remember where! from Puss Reboots The opinions expressed in this post are mine and may differ from yours. Book information courtesy of several online sites and the book itself. A quiet afternoon for one quickly becomes a party for twenty. As new kitties join the fun, Lauren Thompson's clever verse helps young readers count from one to twenty and back again, introducing them to early math skills along the way. Come, feel the rhythm of New Orleans! As for the other.....this is a horror book. Maybe not as scary as some, but still the blood and the mystical are strong parts of the story. Live life large. Let the good times roll. New Orleans-her adopted home. The city where she felt most herself. The song ended. Climaxing in a vibrato that left the audience breathless, whistling, stomping their feet, demanding more. Marie Levant. ER Doctor. Descendant of Voodoo Queen Marie Laveau. Practitioner of Voodoo herself, her second home is the ER. She uses both her learned science and inherited sight to heal. Always, to heal. When there is a strange murder, a detective arrives at the ER with a body. "They said you were the right doctor for a weird death." ......The body wasn't much more than a skeleton, brown fresh stretched over bone. Lying on the gurney-bones stiff, skin deflated-the body seemed a cruel joke. A Paper-mache or woodcut of a body. A made thing, not a dead man. The book isn't all blood and gore, there are several touching scenes with patients in the ER. I don't normally read a series out of order. 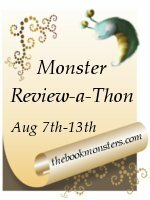 However, I was asked to review Yellow Moon and it is book two of a trilogy. Exciting? Yes. Complete on it's own? Yes. I didn't feel like I was missing anything. I love the dog's name and am wondering if it is explained in book one but other than wanting to know what came before and what comes next, Yellow Moon is a satisfying read all on it's own. The struggle becomes personal, as the wazimamoto is intent on destroying her and all the Laveau descendants. Marie fights to protect her daughter, lover, and herself from the wazimamoto's seductive assault on both body and spirit. 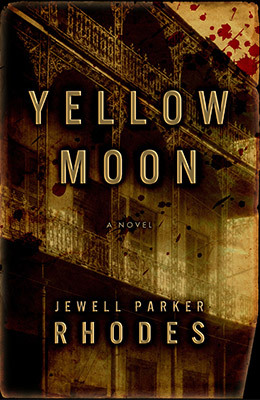 Yellow Moon is part two of the New Orleans trilogy that began with Voodoo Season -- magical realist fiction that takes the legend of the voodoo priestess Marie Laveau, as imagined by Jewell Parker Rhodes in the bestselling Voodoo Dreams, into the present day. I guess if you were extra sensitive to the "heartache and triumph of the African-American experience" you would see it in the book. I saw heartache and triumph and noticed the talk of slavery but, I'm sorry, I didn't see it as just the African-American experience. I saw it as a human experience. The idea is to review as many books as you can during the weekend. I still have a huge list of books read but not reviewed and while I'd love to cross them all off the list, I'll be happy with two this time. Trust Me and White Sleeper. . . .
"You want me to go to a dude ranch?" I asked, my eyes a goggle in surprise. "In Owen's place," Amy replied. Her voice was quiet, but strong, and did not waver. "The trip's all paid for," she explained. "Owen was so determined he'd make it. At least this far. He wanted it so." She paused. "The kids need this, and frankly--well--so do I." I had a hard time deciding on one, I hope you like it. "How could two families in the same church group get exposed to two different deadly diseases?" "Beats the hell out of me," Dave said. "Unless they went on a tour of a bioweapons facility. 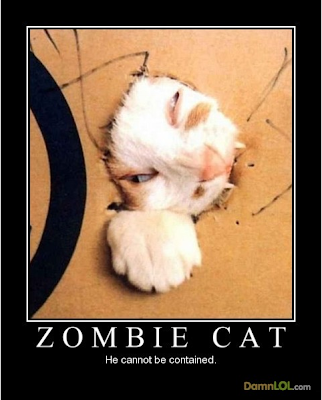 That's hardly likely." "Last time I looked, they didn't offer tours." Went to a Barnes & Noble during Banned Book Week expecting a display....even a small one.....there was NOTHING. When I mentioned it, one of the clerks didn't know what I was talking about and the other was "wasn't that last month?" oh boy, I got over 40 books for $0!